There are over 7,000 homeless in the Silicon Valley. In 2016, with the anticipation of predicted severe winter weather fueled by El Niño conditions in the Pacific Ocean, Bishop McGrath asked parishes in the diocese to consider opening their facilities. St. Francis of Assisi was one of the parishes who answered the call. 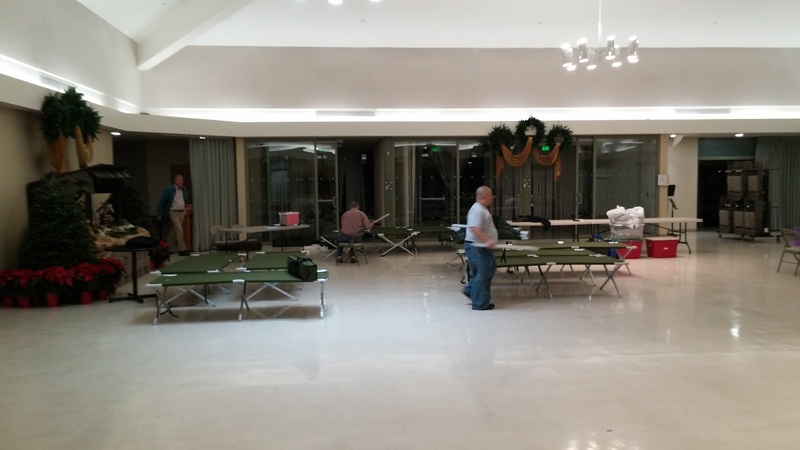 The Emergency Homeless Shelter Program was established as a parish priority by Msgr. Gene, and the community came together to refuge the homeless during the winter months. Our project brought us together as a community, and gave us the opportunity to develop a fellowship, while servicing our neighbors in need. 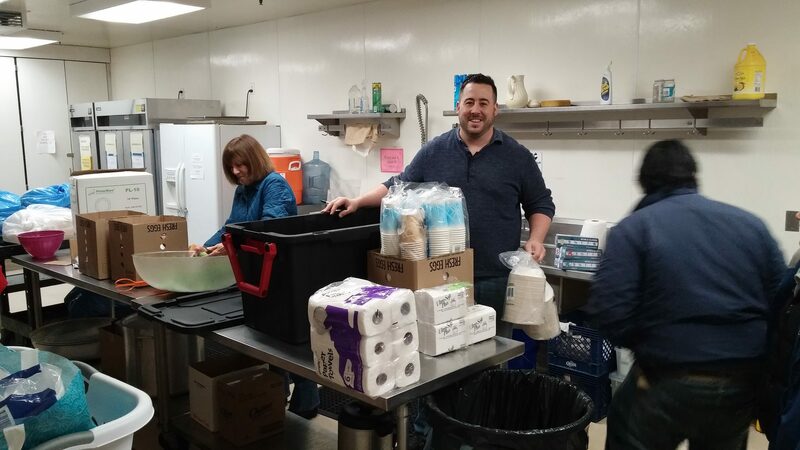 We collaborated with fellow parish Most Holy Trinity and even the Evergreen Valley United Methodist Church, making our program an interdenominational effort. Our intent is not to fix situations, reform character, or to convert. What we are trying to do is clothe the human spirit with dignity, feed the soul with kindness, and to give not what is deserved, but what is needed. Our hope is that by doing so, we open eyes, both theirs and ours, to the mercy and love that is our religion and faith. In 2018, we continue this tradition. 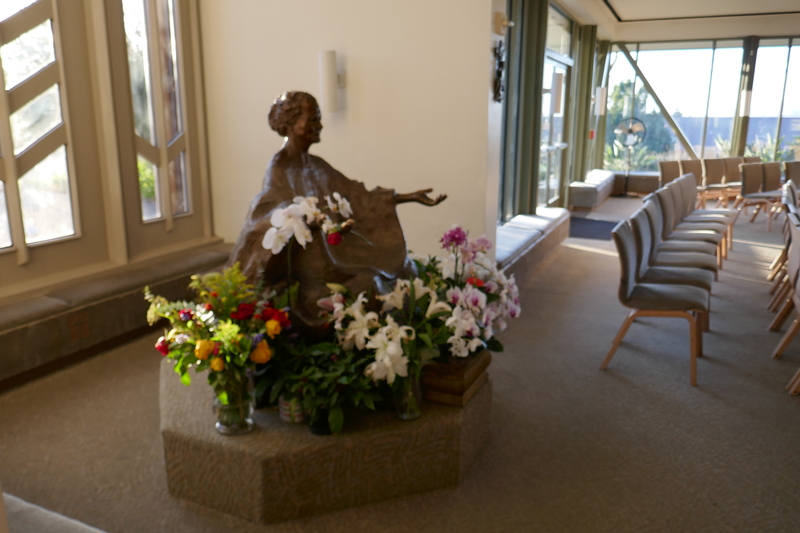 We work in close collaboration with Most Holy Trinity, sharing resources and rotating sheltering schedules. Our guest alternate one to two weeks at a time at each parish. 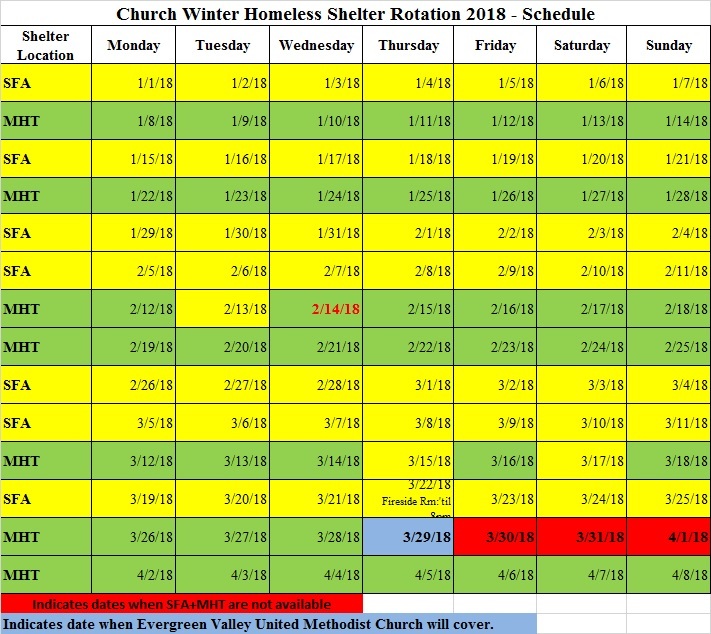 Evergreen Valley United Methodist Church also participates during times when both facilities are not available. Our primary goal is to provide a clean, dry, comfortable, and safe facility, where homeless can spend the night. Guests, who are only accepted as referrals from Valley Homeless Health Program, arrive 7pm and leave 7am. Dinner and breakfast are prepared by volunteers from the parish community. Other volunteer staff frequently join our guests in the meals. Dignity On Wheels provides mobile shower and laundry facilities twice a week. Cots, sleeping bags, blankets, evening clothes, and toiletries are provided through the kindness of material and monetary donations. The success of our program is entirely dependent on the dedicated efforts and contributions of the community. We invite all who are interested, and would like to help our homeless brothers, to join us. We are in need of volunteers for several roles, as listed below. To sign up, click on the button for each opportunity. You will be redirected to our sign up site, which has calendars showing specific dates and available slots. Gaps in the signup calendars are due to our guests staying at MHT for that week. Contact information for the coordinators of the different areas is also provided. Please don’t hesitate to touch bases if you need additional information, or have a change in sign up schedule. Opens the storage container, and works with the guests to set up the facility. Also arranges tables, chairs and dividers. Works with evening meal crew to facilitate setup for dinner. Main duty is to provide male presence until Evening Host arrives. Conducts nightly intake of guests. Greets, confirms screening for new guests, distributes comfort supplies. Provides, prepares, and serves evening meals. Helps clean up after meal concludes. Ensures the safety of shelter guests and volunteer staff by being vigilant for fire issues and reports any safety concerns. Monitors for any unusual or problematic activities. Is present until overnight security arrives. Provides, prepares, and serves morning meals. Helps clean up after meal concludes. Clicking on Donation Button will take you to St. Francis of Assisi Online Giving page. Click on the “here” link of the Quick Give block in bottom right of page. Click on “Continue Quick Give” in bottom right. Make sure you select “Homeless Project” in the Fund drop down in the Gift Information Column. Enter displayed code and click next.